Can A Collection Agency Threaten To Report My Debt To The Credit Bureau? The only time a collection agency can make such a threat is if in fact the original creditor gives it permission to do so. But this is a very rare occurrence, so the chances that such a thing actually took place is slim. Either way, if the collector is threatening to report the debt, then they are probably threatening other (more pernicious) things as well. When a debt is created, and you fail to make payments on it, the debt will almost certainly be sold to a collection agency. Once the debt is turned over to the agency, the collectors must follow very specific rules in their attempts to collect. This area of law is specifically covered by the Fair Debt Collection Practices Act (FDCPA). This statute regulates what a debt collector can and can’t do in its activities of collection. For instance, the collector cannot indicate, suggest, or threaten to report the underlying debt in question to the credit bureau. Such a threat has been deemed as unduly harsh and unnecessary. In addition, the collection agency can not indicate, suggest, or threaten that they will sue you on the debt, or that they will start calling all of your friends and relatives, or that they will begin calling your place of work every day. Because the only way that they can legally make such a claim/threat is if in fact the original creditor gave them express authority to make such a move as a result of non-payment. So if the original creditor did not give such authority, why would the collection agency risk making an illegal move like that? Simple. Because making the threat more often than not helps to achieve the goal of getting you to cough up money. If they actually followed the very specific rules laid out for them in black and white, they wouldn’t get a whole lot of funds sent to them. But if they throw out a couple of nicely timed threats, that usually gets people scared just enough to pay. The problem, of course, is that such conduct is unlawful. It is a clear violation of the Act, and if the violation can be shown, then damages must be paid to you. The amount of damages that have to be paid to you are generally in the area of $1,000 from each collector that violates your rights. In addition, the Act states that all attorney fees must be paid out by the collector if a violation is shown to have occurred. This means that there are no upfront fees to you in order to file an FDCPA case. If there are additional debts that you are dealing with, it might also be wise to look into the possibility of filing a Missouri bankruptcy. Whether it is a St. Louis Chapter 7 bankruptcy or a St. Louis Chapter 13 bankruptcy, all of your unsecured debts (like credit cards, medical bills, payday loans, etc.) are taken care of. The affordable St. Louis bankruptcy lawyers at Brinkman & Alter, LLC have been making sure that our client’s rights are protected for years. Our goal is to get you the fresh start / clean slate that you deserve, and put you on the road towards financial freedom. 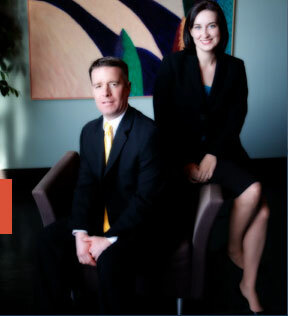 You will not find finer bankruptcy legal services anywhere in St. Louis.